New to Playing Poker Online? For some reason, poker has always been a bit of a taboo subject at the dinner table. Either something the filthy-rich do as part of an elite class, or something criminals and undesirables indulge in. Mary Poppins didn’t play poker. The notion some people have about poker players is hardly surprising given the way they’ve been portrayed in hundreds of movies about the Mafia, secret agents, and other gang-related thugs. Poker is just a game. You don’t have to gamble your life-savings or use real money at all if you don’t want to. Sure, if you want to play for hard cash then great. You might even fancy turning pro. Or you might just want to keep your brain active by joining a group of interesting people from all over the world having fun. There’s lots of reasons people take up playing poker. Though, if anyone tells you it’s not about winning, they’re probably lying. Who plays a game to lose? Since 2014, all gaming sites operating in the UK need a licence. This in turn means the industry as a whole, but particularly for poker, adhere to a set of tough regulations set by the UK Gambling Commission. If they break the rules, they risk losing their licence and their sites being closed. Basically, it means playing poker online in the UK is about the safest online environment you could be in. This doesn’t mean go and sign-up to any UK poker site. How do you pick a good poker site? All those blockbusters filled with excitement and beautiful people rubbed off on us. Online poker sites have become hugely popular. In fact, it’s almost fashionable to have a flutter. And like anything of interest today, when there’s trouble, it’s played out for all to see through social media, blogs, and the dozens of dedicated poker fans who’ve got your back. This means poker sites, how they operate, if they’re fair, if they can be trusted, is constantly watched and reported. You can find up-to-date information about sites to avoid or join in a few clicks. Reputable poker rooms are easy to join, easy to leave, and make it easy to withdraw your winnings. Bear in mind that what’s good for one person won’t necessarily work for you. You’ll need to do a bit of poker room window shopping first. Are you ready to start playing? If you’ve played a few hands with your friends or at a casino, then you should know what you’re doing, you’ll have your bankroll planned and know what strategies to use. The only thing you might need to do is check out rules for games that don’t exist in bricks-and-mortar venues. For those of you who are poker virgins, then if you want to have a chance at winning, you need to educate yourself about a few things. 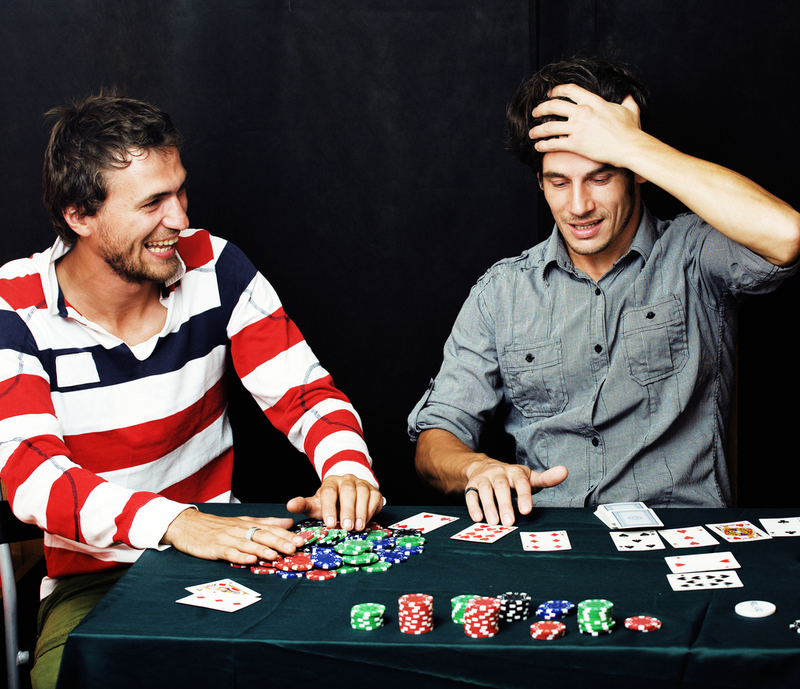 Do you know the difference between Texas Hold’em and 5-Card Draw? Do you know what a bankroll is? Fear not, you can learn about different games and how to manage your cash-flow in no time. But please do this before you sign-up and start playing. While it’s true you can win big at poker, realistically those big life-changing wins don’t happen everyday. Some say it comes down to a lot of luck, others say it’s skill. Treading the middle ground is probably more accurate, but you’ll have to make your own mind up about that. There are many factors that influence the outcome of a game. You should watch a few tournaments and see what people are saying about it. One true statement about winning is that you will win; you’ll also lose sometimes. This is the case with all gaming. Nobody wins all the time. How much you lose will dictate your chances of winning; if you lose all your money then you won’t be able to play. Common sense needs to be applied. The taboo stems from poker played for cash and its repercussions. All avoidable if people used common sense, managed their bankroll and learned the game properly. Money is the cause of many things. People always want more. Winning is addictive like any pleasure-giving activity. Our body releases happy hormones which make us feel on top of the world. Trying to attain that, however unlikely, is when you need to be smart. If you’re out of luck, walk away. If you want to play poker for fun, don’t use real money. If you don’t have money to spare, don’t play. Nothing’s worth getting into debt over, especially something that’s supposed to be fun. Is there a casino or poker room near you? Do they pay you to go? Do you have someone to go with or would you go alone? Getting instant access to a choice of sites, which are all bending over backwards for you to join them, means you can play whenever you like, however you’re dressed, whatever time you feel like. Have you seen some of the bonuses on offer? If you’re just starting out, the carrots they dangle (bonuses) will help while you’re getting to grips with the game. Luckily it’s not hard to learn, so essentially you can play and win from nothing. Of course, when you get chance to go to real-world poker venue, take your honed skills with you and have a blast! You don’t need to be Bugsy Malone to get into some of the best poker rooms in the world, you don’t need a wad of cash either. The best online UK poker sites provide a great experience, offer a variety of games and make you feel valued. There’s always something exciting happening like a major tournament with a live feed, and online ones to take part in, if you’re feeling confident. Finally, don’t forget the thousands just like you who make up a community of like-minded souls. The rules of 7 card stud poker and how to play online!